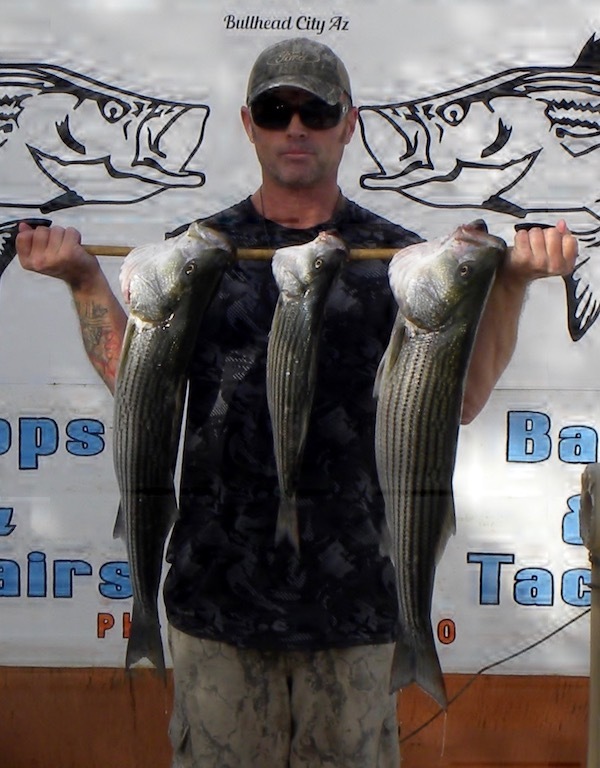 The striper bite has slowed some there are some out there but the bite is a tad slow I suppose the fish are waiting for our anglers to try out their new rod and reel and that special stocking stuffer a lure or two. Our local angler Leroy Morin Jr. had some luck while fishing from the shore using anchovies in the Rotary park area. His Stripped bass was 6.32 pounds and 26 and 3/8 inches. this is a great size and makes for a super nice meal. Here along the Colorado river below Davis dam the rainbow trout that are coming from our federal hatchery or Willow beach are best found along the casino area and the beaches along community park. There are some good holes where the trout seem to hang in in both of these areas. Night crawlers and power bait have been producing ok while some of the spinners are bringing in limits of 5 trout.